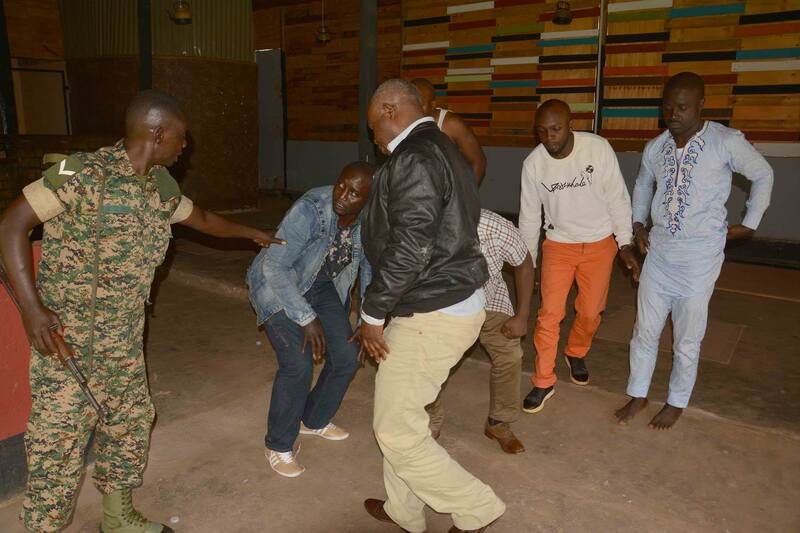 KAMPALA – Security agencies have arrested a syndicate of Ugandan, Congolese and Cameroonian fake gold dealers for allegedly conning a Chinese investor. Star Yang, a Chinese national, was lured to travel to Uganda with the prospect of buying gold. Upon reaching Uganda, he was linked to one James Byaruhanga (40) aka Governor who said he had a company which deals in gold. 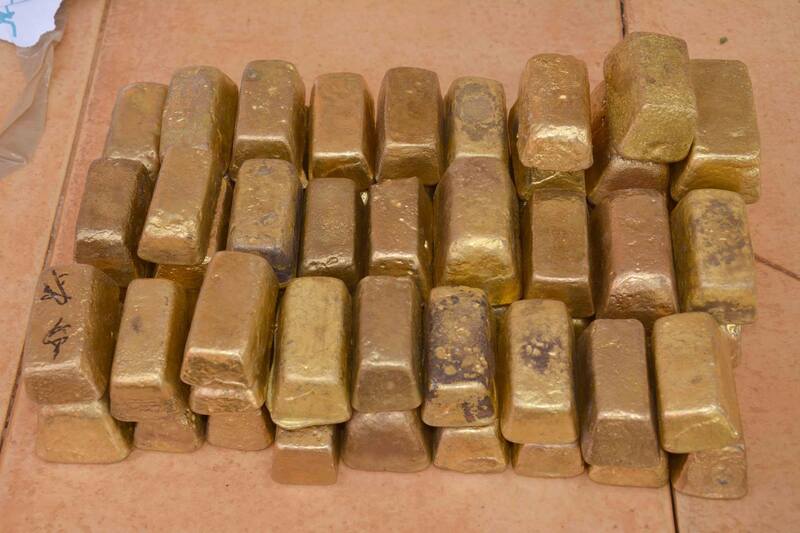 It is alleged that Yang was showed two genuine gold bars which were subjected to test by a one Sayid Musanji, was asked to deposit 83,000 US Dollars and then promised to return on following Monday to pick up of the ready gold bar consignment. 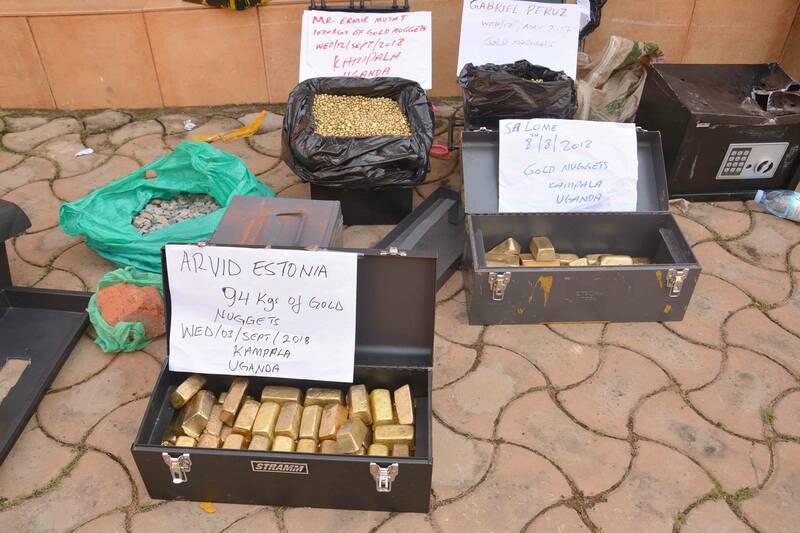 Upon search at their premises, suspects were found in illegal possession of G4S Private security organisation uniforms, 100 kilograms of suspected fake gold, weighing scales and gold testing machines. The suspects include; James Byaruhanga 40, a resident of Kabowa, Patrick Ndenzi 21(Congolese), Boniface Munagabe 34, Frank Ngabirano 33, Ummo Amati 38 and Mike Lota 43. Other suspects include; Walter Adenyo, Fred Ndayi 16, John Tumukunde 20, Robert Sseguya 30, Bruce Kamugisha 33, Junior Okungi and Sayid Musanji. The gold samples are to be taken to the Government Analytical Laboratory for testing and suspects would be charged with theft of found guilty. The suspects are currently detained at Kabalagala Police Station pending arraignment in court of law.